The Porsche Panamera combines the characteristics of a sportscar with those of a business saloon – perfect for getting the right “work-drive balance”. Many of us know what it’s like to have the stress of time pressure: it’s one appointment after another – at work and at home. And these situations often go hand in hand with the need to be mobile. Having to spend time in the car between meetings? Something of a necessary evil. With the right vehicle, however, this can actually be quality time – as “experienced” recently in the truest sense of the word by German start-up entrepreneurs, bloggers and representatives from emerging business media. Porsche invited the drivers to take a tour in the Panamera in and around Berlin. Whether the main priority was sporty driving dynamics or relaxed cruising – everyone involved was searching for their own very individual “work-drive balance”. The drivers of the Gran Turismos were Sven Lackinger, co-founder of the innovative parking scheme Evopark, Rico Nuguid and Christian Stumpp from Tandemploy, the platform for job-sharing and flexible working, and Holger Weiss, Managing Director of German Autolabs. Together they visited known hotspots of the powerhouse for start-ups that is Berlin. First stop was the legendary St. Oberholz. For as long as there has been a digital economy in Berlin, there has been St. Oberholz. For more than ten years, the café has been home to digital bohemians, a meeting place for the start-up scene and the origin of so many big ideas. Across an area of 600 square metres, co-working spaces, offices and conference rooms are available alongside eating and drinking. The journey continued to Mindspace in Berlin’s Mitte district. Innovations, technology and interaction characterise the cosmos of the digital business world. The co-working environment at Mindspace provides just the right infrastructure for this purpose. Freelancers, recent start-ups or small companies can simply rent their workspace in Berlin, Hamburg and Tel Aviv. The atmosphere here is characterised by openness and interaction. For pleasure – and to be able to put the Panamera through its paces away from the Berlin traffic – the next stop was at Lake Scharmützelsee in the Brandenburg countryside. On the Autobahn and out on the country roads, the Gran Turismo was able to show that it is the sportiest of the luxury saloons. After a little light refreshment, it was back to the capital and on to the last stop: the Porsche Digital Lab. The Lab provides a platform for collaborating with technology companies, start-ups and the scientific community. In the Lab, teams from Porsche and IT consultants MHP focus on the question of how Porsche can take innovations from the fields of big data and machine learning, micro services and cloud technologies, Industry 4.0 and the Internet of Things, and turn them into practical solutions. Regardless of whether it is in your job, spending time with the family or just in your free time — sometimes the schedule is so tight that you hardly have a moment to yourself. As a result, those happy moments are sometimes cut short. So it is perfect when you can combine something pleasurable with something useful. Having the right car is important in this respect. The enjoyment derived from driving turns the stressful route into work or to meetings into a positive experience. The new Panamera is a business saloon, sportscar and family car all in one – the perfect car for a good “Work-Drive Balance”. 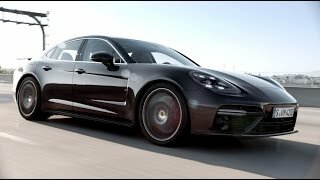 Family expert Kai Bösel gave the new Porsche Panamera a thorough examination. A sportscar as a family car – is that even possible? 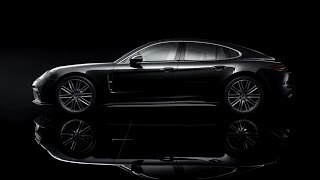 The sportscar manufacturer will be introducing new versions of the luxury saloon. Breaking a record with the fastest luxury sedan on earth. The new Panamera Turbo.